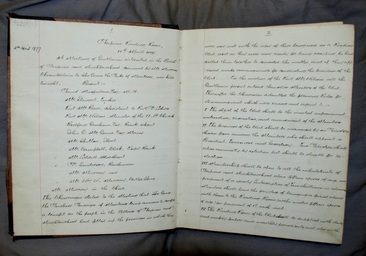 The image below shows the first meeting of Drymen Reading Club from 11th April 1877 where the first members and directors are elected and the rules of the Club recorded for posterity. The Club was founded by Her Grace the Duchess Dowager of Montrose, for the benefit of the people of Drymen and neighbourhood. It was formally opened on the 24th of April, 1877. The object of the club was the mental improvement, instruction, recreation and amusement of the members. 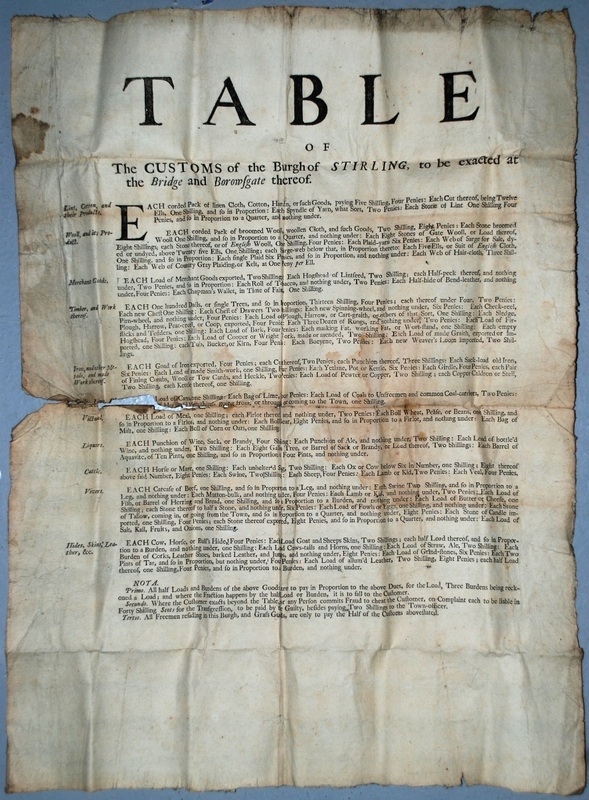 Membership of the club was open to all inhabitants of Drymen and neighbourhood above fifteen years of age upon payment of a subscription of two shillings. Members were also permitted to bring one friend (also above fifteen years of age) to the club upon payment of one penny per visit. The club was managed by a Board of Directors, who appointed from within themselves a President, Treasurer and Secretary, to be elected annually. Reading material included daily and weekly newspapers, periodicals and books ‘of an entertaining and instructive character’ which could be read in the club or also borrowed for an additional payment of sixpence per quarter, and facilities for board games, tea and coffee were also provided. Subsequent years saw the card games permitted and by the 1930s, billiard tables. The books from Drymen Public Library were transferred to the club. Opening hours were ‘every lawful day’ from 10 am – 10 pm, and books could be exchanged with the Librarian on Saturdays. Further premises, pictured right, were acquired in 1910. 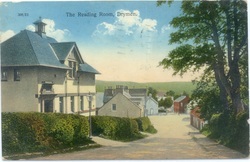 The premises were used by the Drymen Home Guard detachment from 1940, and the books removed and presented to Stirling County Library in 1942. The club is referred to initially in 1877 as the ‘Drymen Reading Club’, then as ‘Drymen Reading and Recreation Club’ in the 1940s and laterally it was known as ‘the Village Club’.